White helps to break the monotonous style. Most men own fixed shades and fixed types of clothes despite there being a huge outcry and wave for men’s fashion and trendy looks. In this case there are some very cool tricks that can be used to instantly amp up your fashion game with this White Jacket. White jacket is super cool because it is not at all basic. 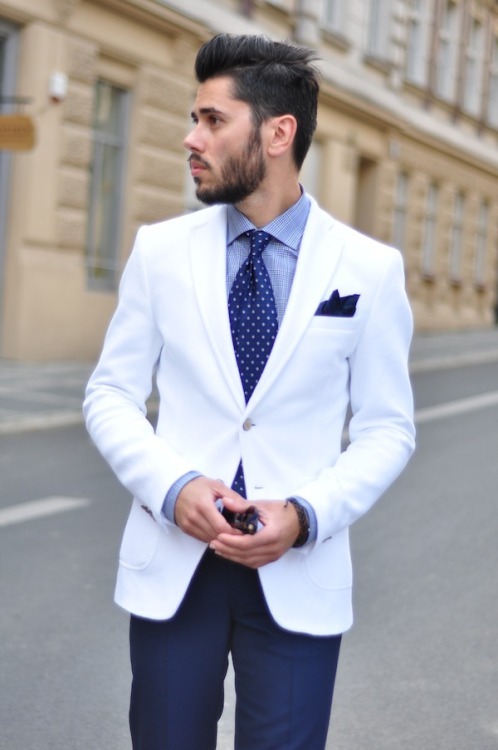 If you wish to look unique and charming but are not ready to commit to something like a white suit, this is an easier shift for you. This is a must have for a simple upliftment of your fashion statement effortlessly! How Many Layers Should One Go For?